BBA (Bachelor of Business Administration) is one of the most sought bachelor degree programmes after 12th. It includes complete knowledge of leadership and management. The MBA degree has been started to provide the ground knowledge for producing the sound management professionals. The degree programme in Business administration is one of the most jobs provider educational degree course. In India and abroad, there are various multinational industries, which are offering jobs to various business graduates. There are various universities/colleges in India and abroad, which are offering BBA degree programme for students. The best part of programme is that the student having any subject in its 12th standard can get admission in the BBA programme. Get Latest Career Notification about BBA Courses, by entering your details below. BBA degree allows the candidates to enter in the field of management. This degree teaches the students with various aspects that are necessary for effective business management and essential for entrepreneurs and business managers. Bachelor in Business Administration also gives you a platform for pursuing courses like MBA. To do well in this field, students must possess leadership qualities, decisional making skills, good oral and written communication skills. Have you completed your 12th? If yes then go ahead and choose a course in which you are interested. BBA is the three-year bachelor degree programme for those who are interested in management studies. Whether you have done your school with arts or humanities or science, you are free to choose the BBA programme. The BBA is most popular and well-known courses among the students. It has a vast area of specializations (in MBA). Many of colleges and Universities are offering the BBA programme as regular or distance learning education. Students can pursue this course full-time or distance mode. The value of full-time course is considered more over the distance mode. Once you have done your BBA degree, you can go for the master degree programme (MBA), offered by the various institutions in India and Abroad. For admissions into BBA courses, students are needed to clear the 10+2 or equivalent examination from any recognized board or school. Some colleges consider the criteria of securing 50% marks in the qualifying exam. The age should be between 17 to 25 years. How to get admission in BBA? Various universities gives admission in BBA course on the basis of merit list. Some other college also give admission to students through the entrance tests. The entrance tests is organized at national, state or university level by various authorities. Admission is based on the merit list. The merit list will be prepared on the basis of qualifying examination or entrance examination. AIMA UGAT (Under Graduate Aptitude Test) is a national level examination regulated by AIMA for providing admissions in BBA, BHM, BCA, etc. What are the job & career opportunities after completing BBA? 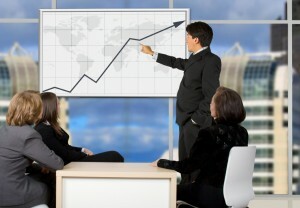 The scope of management courses is increasing day by day. Once you have completed your degree, you have a great job opportunity in the industrial world. In the management sector you can reach at the top designation, in quick span of time. It opens a number career paths in the future. In any sector, business administration experts or professionals play a very significant role. A management professional always plays a vital role in his/her company and this is why, he used to keep in touch with the board of directors. Option for higher studies is also available for BBA graduates. Most of the students after completing BBA prefer to do Master of Business Administration (MBA). Although, BBA can open a wide door of opportunities, you can still drive for higher position by getting MBA degree. MBA is offered in many disciplines. Students as per his/her interest can opt any specialization. Research programmes are also available in this field. Salary is no issue for the candidates who have a good leadership, decision-making skills, enthusiasm and a good academic background. i want to do bba, but my father says that there is no money making job in this field. you can pursue MBA which is a better option. You can pusue B.com and prepare for the MBA entrance exams. you should check Courses after 12th Commerce. Hi sir/mam i have completed my 12th in commerce field with 83℅ of marks . I’m studying 11 standard in science with maths. After passing 12 standard I would like to go BBA . sir what is the step to get admission ??? Hlw sir,I am in 12 CLS and I have commerce stream what course did i choose after 12 ?? I have complete my 12th last year.now i am interested in management field n i gonna go with BBA course from aligarh muslim university…so can you give me your opinion that what should i do for take admission in amu. Sir I am studying in class 12 commerce please you gave me information about graduation with MBA. I m done with bba graduation, I want to know if any kind of course or knowledge that I can attain along with a job in hr.pls tell me some beneficial courses. Hii Sir I have completed my 12th commerce and i have choosed my next course will BBA then MBA and am very much intrested in management also….So my question is that have I choosen the right path as choosing BBA and then MBA may i get the better job if I secured good percentage if so may i know what job can i get??? Hlooo sir…I want to know that for integrated MBA course, university also matters for getting job opportunity…or this course can be done from any university….for getting jobs.. Yes university matters a lot, select a good college or university which has good placement record. I m doing this course from Punjabi university Patiala…..
Is this university good for this course or not?? Yes, you can done this course any university. after completing my BBA Course. I want to do a job. Because, I have problem that is economical problem. So I want to do a job. Please help me and suggest me. i am a student of class 11th i didn’t got maths,so i have commerce with i.p.So is it ok? ?if yes please tell me what shall i do in future?? yes you can get, but you must have a good job in hand, by that i mean you have to prepare yourself so that you get placed in a good company. yes you can get more then that, but what it really matters,i.e., institute and your own skills. what is the process for admission in bba course, and its fee structure. You can go for BBA. My score was not good now i am fully interest in MBA and also corporate business world so i think i should do BBA before MBA,So pls give me suggestions what should i do? Hello sir,I’ve passed 12’th from arts stream on 2010 and I join civil construction company as a store-keeper but now I want to upgrade my position to a store executive.so sir, can u please advise me that what course I should do at supply chain management to get that position or what course will be applicable for me. you are eligible for BBA. I want to join bba in karunya university, isn’t it the better university for bba and for placements?? I have only 55% in 12th commerce. What can I do now..? What is the main work for those BBA Students, in job ? my BBA %Age is 88.9 % from H.P University. I want to become a CA.So what are the things i should do? And is there any other course i can take with CA? hi nihal, my self rajat jain and i am in the ca final. for join a CA you should firstly filled form for CPT(ca entrance). and in regards other courses, u can join b.com(pass or honors). b.com is the best option with CA. sir i have completed my 12th . but i am confused what to do now? i think about B.com M.ba OR BBA MBA . WHAT SHOUD I DO ? and why ? first you should pursue your B.com and then you can go for MBA. Sir this year only I complete my 12th . I m totally confuse regarding my career ..my dad was a business man …I too also interested in its but which course is suitable for business its BBA OR BMS..
Sir recently I had given 12th HSC exame frome science stream and I think I will scoe about 60-70 % . I am intrested in buisnass so trying to take admission for mechanical engineering and after B.E. for MBA.Then I want to start my own sphere part making compony .Is it good for bright career and how ? Please give me advise to become best buisness man . Hello sir i am tanvi. i appear 12 th exam and i am confussed about to choosen best course in commerce filed i ma interested in economic maths and account BBA is perfect for me ???? Please suggest me which would be best for finance.. ! Is it sure that after passing BBA & MBA I’ll get a job ? sir what is a scope of bba in future and best college in delhi? yes you can pursue BBA. Pls tell me. Which is better courses in management studies in after 12th. I am still now studying in 11th commerce but i am highly confused about my future, that what should i do after my 12th. As being from worst house condition i cant take science. but i want to try my best of in future to be a good icon for my family. please sir guide me about my after course, i want to be the best. waiting for your answer sir…. After your 12th, you can do BBA and then you can do MBA. There is good job opportunity after that. Hi I am simran Malhotra. . Hi I Am in 12th now. i have arts . What course or study should i do after 12. . Which will be best for me. . I am a student of grade 12. I have commerce without math and I want to go for BBA but I don’t have maths. So can you tell me top Du colleges or top private colleges offering BBA without math? Hello sir, I’m in a 12 comm n totally confused which course should I go after my 12 exams n subject which I had is business studies which was n option among maths n computer plz guide me . Sir, I’m class 12 commerce student. I’m very much interested in doing BBA after my exams. Do you think I would be successful doing this course? Depends on particular college but a rough figure for BBA is 10-15K per sem and MBA is 20-25K per sem. Also BBA is being considered as a graduation degree. Sir, I’m pursuing BBA final year student. I’m very much interested in doing MBA after my exams. Do you think I would be successful doing this course? Hi!respected sir. I’m studying in X. I’m interested in Business affairs, so is it good for me to choose BBA.Which stream would be suitable for me Science, Commerce or ARTs and qualities should I have in me or which should be my Fav subject. Pls guide me. commerce will be the best and you should have leadership quality with business strategy and finance would be the favorite of you. Thank you Sir for the reply. It will surely help me out. Sir, I’m class 12 science student. I’m very much interested in doing BBA after my exams. Do you think I would be successful doing this course? Sir,After complete BBA 3years course and MBA 2 years course…….sure I got a better job and really it has scope in coming future for better life….???? If you have a handsome capital to invest in your own business with vast experience and market research then business is OK. Yes, opportunities are always there but you will have to study hard in MBA to get the best rank. What it will have to cost for completing BBA ? Afer passing BBA & MBA shall I surely get a job ? The cost of BBA is genrally 25 to 30 thousand per semester, it depends on how much efforts you put in, your communication as well as the management skills. Dear Sir/Mam, Is it sure that after passing BBA & MBA I’ll get a job ? complete your course with high %age and if possible complete the master degree in anyone specialization and get your dream true.